Nifty Daily Chart: Wow a great start for the week. 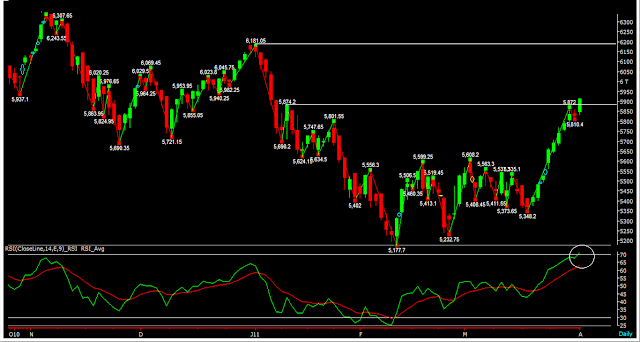 Nifty broke the resistance at 5875 and moving solidly ahead. RSI has room for further en the move ahead. Nifty might be marching ahead to the next resistance at 6180, meanwhile we can see some negative divergence in RSI-price pattern. We have booked profits in intraday sell nifty and holding long in nifty. 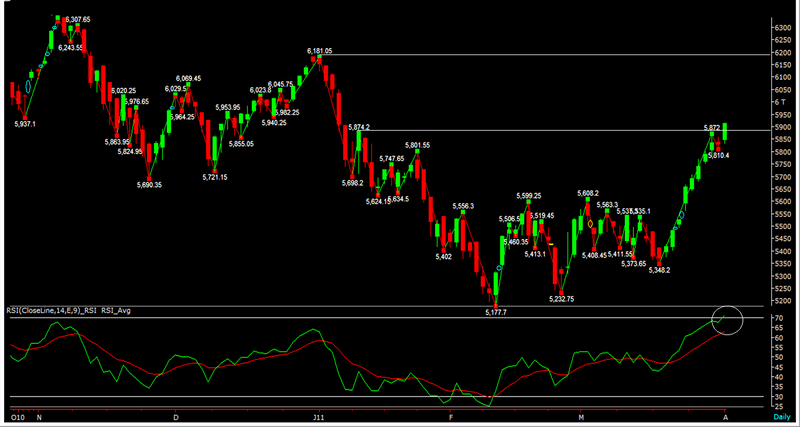 Now 5875 would act as a support for Nifty.